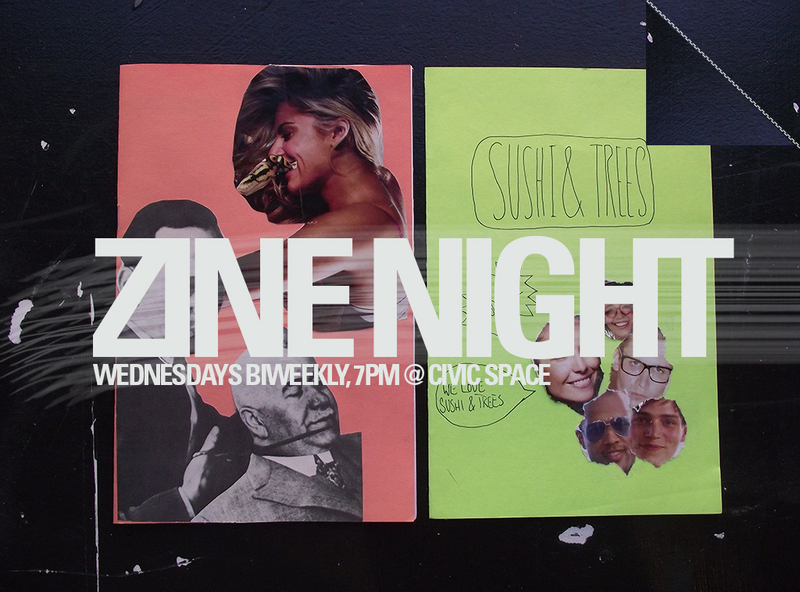 Zine Night: A Free Biweekly Micro-Publishing Forum, Open to All! Zine Night, a biweekly micro-publishing workshop series hosted by BCL’s Rosina Riccardo continues throughout the summer. Join us as we cut, paste, tear, discuss, remove, rethink, reshape, bind, print, and share (in no particular order).